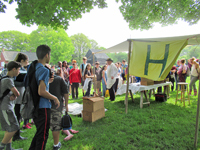 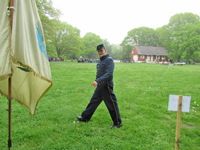 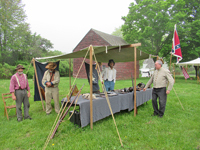 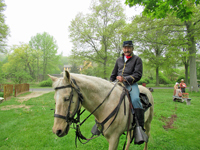 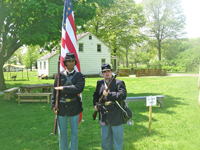 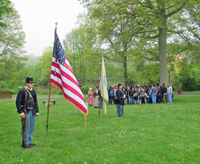 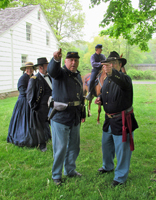 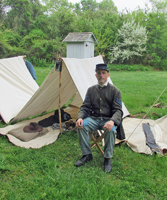 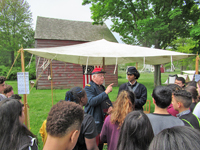 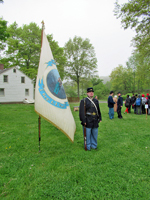 For this year's school program at Old Bethpage Restoration Village, the Cavalry hosted the 67th NY, 119th NY, 30th Virginia, the U.S.C.T. 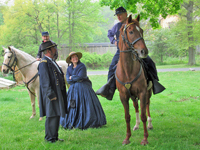 (represented by George Munkenbeck & our Alexio Barboza), Field Music, General U.S. Grant & his wife, the 6th NY Independent Artillery (their first time at OBVR), Miss Diane's cooking, and even a British Observer. 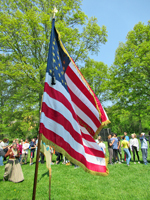 Rather than take places all around the premises, we were lined up on either side of a field where the demonstrations took place. 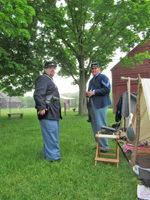 The weather was overcast and dry... far better than the originally forecast of rain. 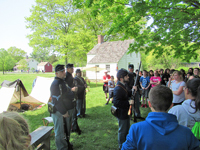 That scared away many of the schools but we were still plenty busy with those that showed.